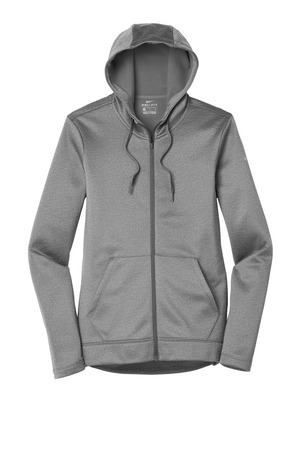 Nike has elevated the classic hoodie by improving this year-round essential with incredibly warm Therma-FIT fabric which breathes and manages moisture. The design includes a three-panel hood with drawcords, front pouch pockets and open cuffs. Tailored for a feminine fit with a drop tail hem. The contrast heat transfer Swoosh design trademark is on the left sleeve. Made of 7-ounce, 100% polyester Therma-FIT fabric.